Claims, and attributions, of knowledge or justified belief are made against varying backgrounds of assumptions or takings for granted, which are not themselves known or justifiedly believed. 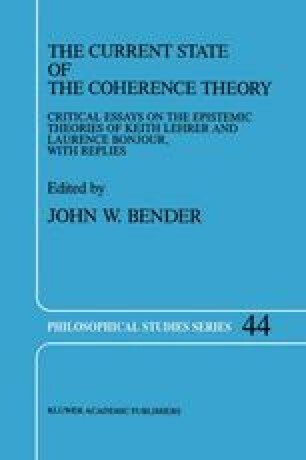 Offering an account of the constitution of epistemic backgrounds and an elucidation of their roles are the main parts of a Theory of Epistemic Coherence. This study belongs to the foundations of such a theory. We examine some data and discuss certain theoretical alternatives.